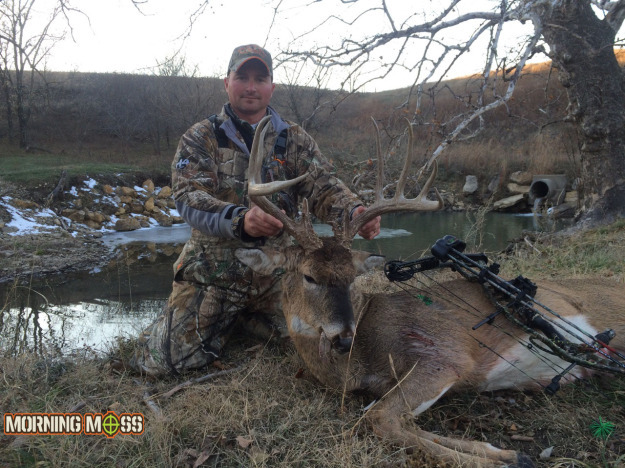 Brett shot this huge Kansas bow buck on November 20 and it scored 164 inches gross! Brett sent in this awesome picture of a monster Kansas brute that he was able to connect with last week. The giant Kansas buck was shot with a bow and taped out at 164 inches gross! What a nice buck and a great picture too. Congratulations Brett! 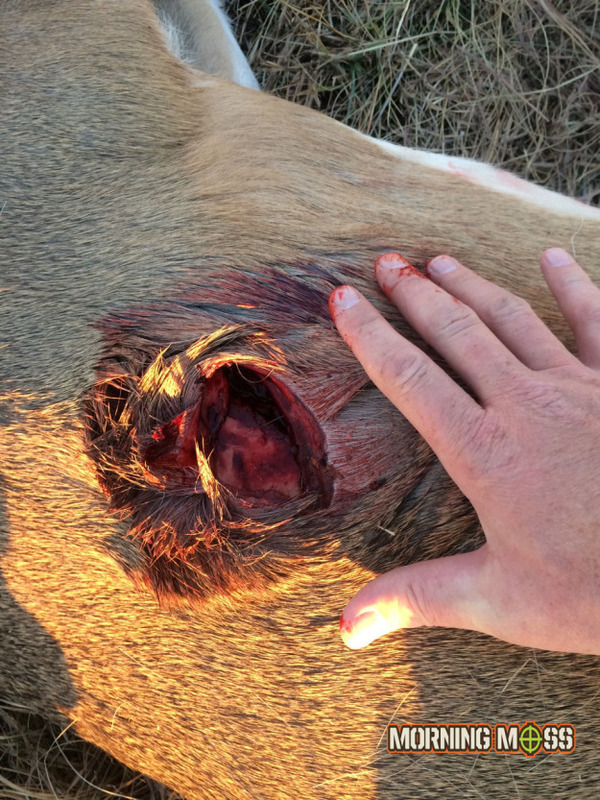 Brett was able to shoot this buck with a 3 blade rage, and as you can see from this entry wound picture, these broad heads do some work. Congratulations to Brett, that’s the buck of a lifetime right there. Send in your photos here and check out more awesome big buck and hunting photos on MorningMoss.